Foie Gras d’Oie in the Perigord Noir and a Guilty Conscience. 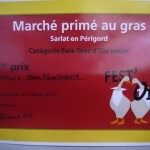 The Fest’Oie in Sarlat is a celebration of one of the region’s greatest (and in the UK most controversial) delicacies. Festivities include the Bodeg’oie – a street feast focussing on various dishes made with goose, the Sunday Street festival and, the highlight of the weekend – a multi course goose lunch, the Fest’OIE. 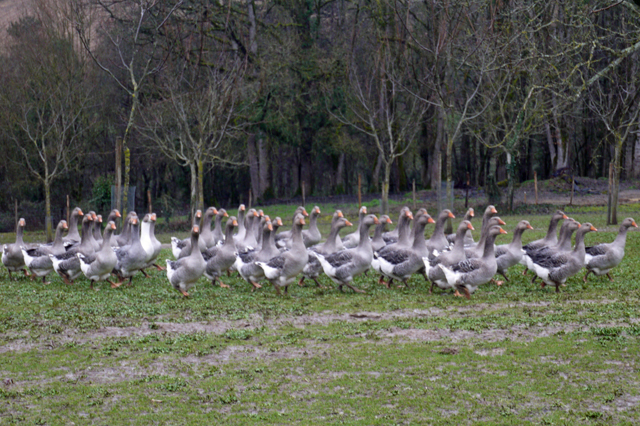 More about that later, this post is about the farming and production of Foie Gras d’Oie. 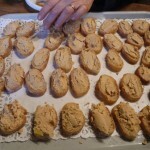 In addition to the feasting, Fest’Oie offers local and visitors the chance to learn more with open farms and foie gras producers where you can go and find out more about how the delicacy is produced, from egg to jar so to speak. 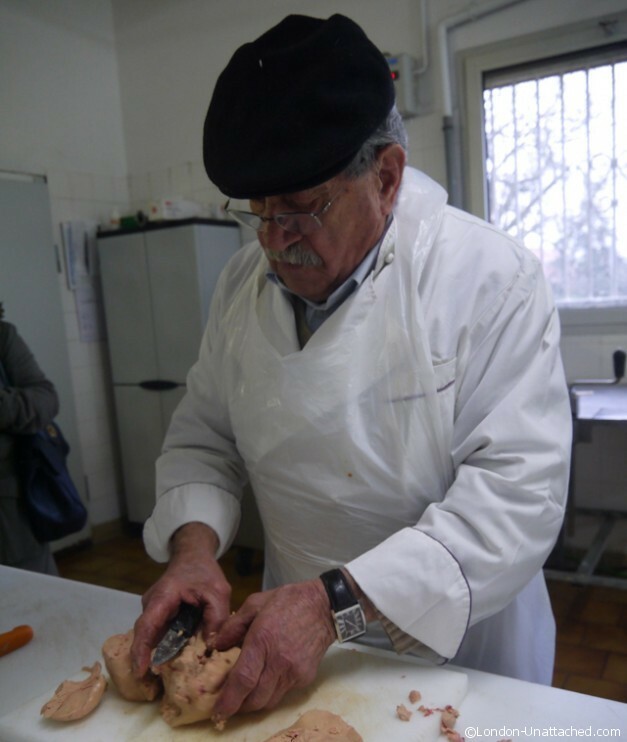 I’ve been pestering every French person I’ve met recently to get a view on Foie Gras So, when I had the pleasure of meeting both Michel and Albert Roux recently I wanted to find out a little more about their views. Albert Roux, one of France’s greatest exports, verbalised my own attitude to Foie Gras. Albert Roux is, as I’ve mentioned, a charmingly anglicized French man. His food has a French heritage and all the disciple of the great French kitchens, but his attitudes are English. Not suprising since he’s lived in the UK for around 60 years. 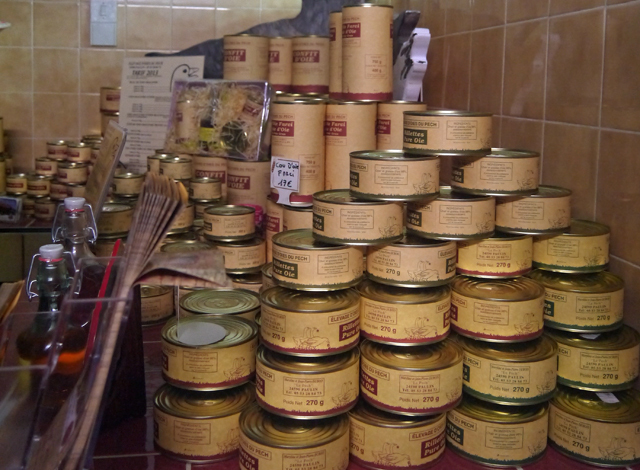 By comparison when I asked the French journalists and people of Sarlat if they saw any issue with Foie Gras all I got was a mystified look. Why would they have any concern? There are many arguably cruel practises in farming. From Halal meat butchery through to rearing of chickens in cages or raised indoors (although battery hen cages are now banned in the UK). But, the fact that there are other wrong doings doesn’t make this particular farming method any more right. 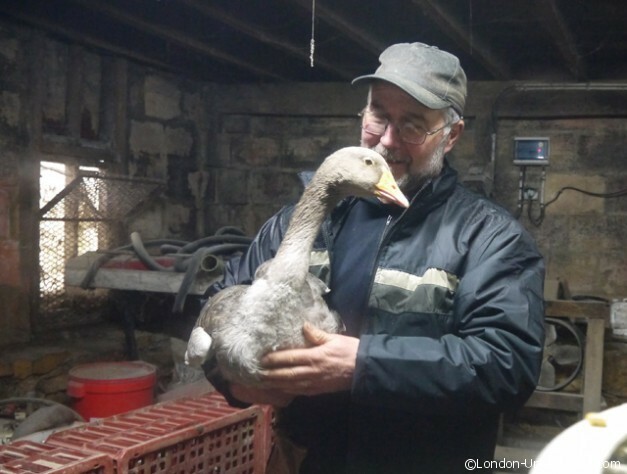 I wanted to see the process of raising a foie gras goose at first hand. 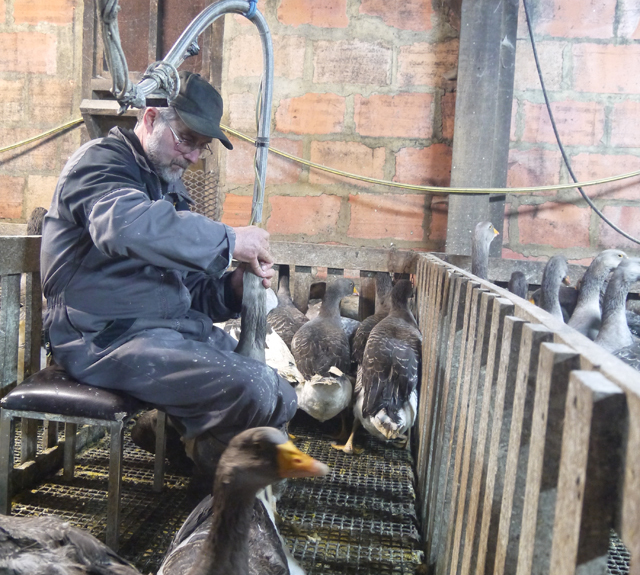 I wanted to see whether foie gras production was entirely cruel or, as those French who have not been subject to English influence seem to pretty much unanimously believe, just part of normal farming practise. 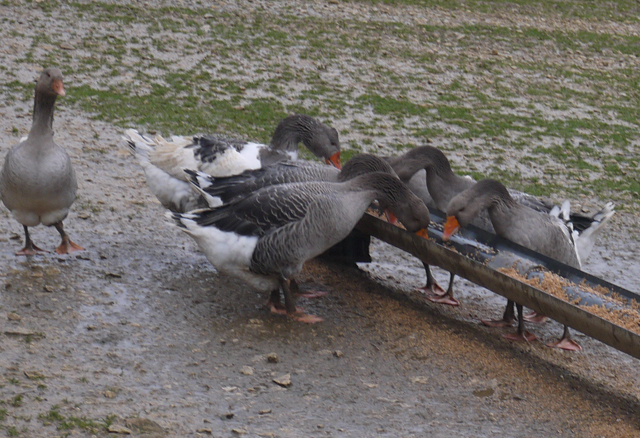 At the farm in Paulin a gaggle of geese at the end of the field were feeding on grass supplemented by corn. Normally free range until they reached 5 to 6 months, these were just a little older, the farmer told us, because they would be in the town centre the next day as part of the Fest’Oie. 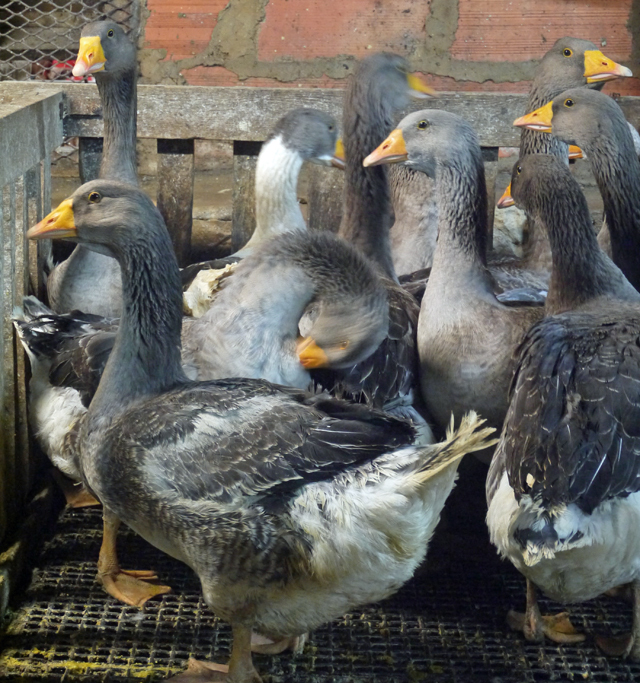 Happy, healthy birds, is it enough to reassure yourself that the source of your foie gras is treated to the equivalent of a five star start in life? 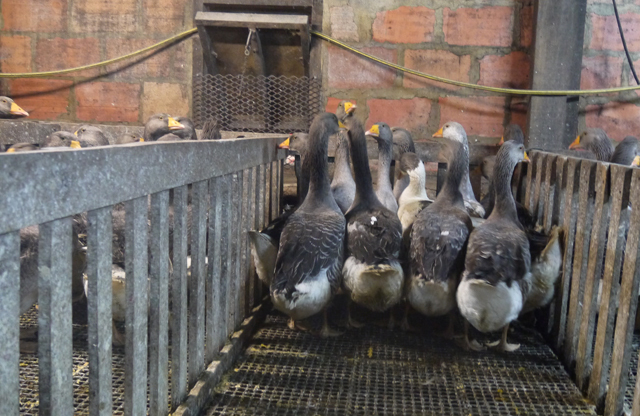 Once they are ready for gavage – for fattening up – the geese move indoors. At this point they have a few weeks left before slaughter. Those geese in the barn once again had luxury accommodation. The floor laid with a thick layer of clean straw, the geese free to roam. Gavage as demonstrated to us involved the birds being moved to feeding pens where each bird was held by the farmer to be fed a dollop of corn and corn meal through a feeding tube, before having their throats gently rubbed so they swallowed. The process appeared a lot less painful for the geese who didn’t struggle or try to hide than trying to give my cat a pill. 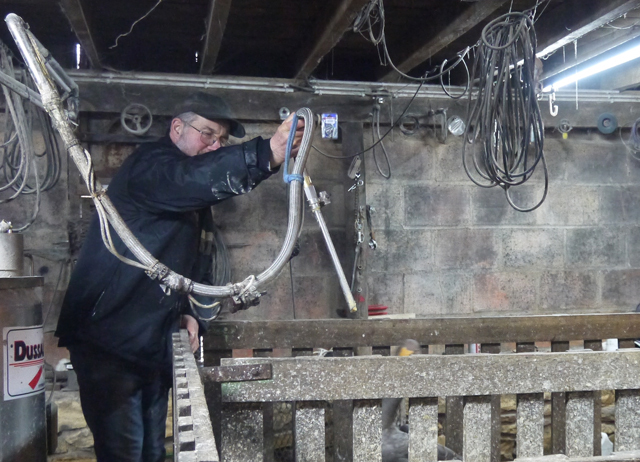 The farmer explained that during the process the liver of the goose would grow from around 200g to a kilo. At that point the bird would be slaughtered. Of course there are extreme examples of cruelty in foie gras production, with birds kept in poor conditions and treated violently to force feed them – and of course as guests of Sarlat that is not what we saw. 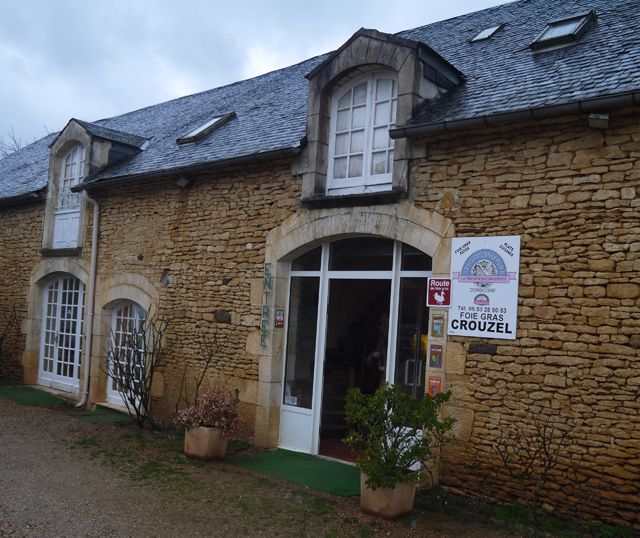 In addition to the farm trip we went to learn more about how foie gras is prepared and how it can be used in a range of recipes at Crouzel in Salignac, an award winning family owned foie gras producer. I have to admit I’d never realised that foie gras could be served raw, half cooked or fully cooked as well as being preserved in a whole range of styles from entier (preserved with salt through to various mousse and pates). All of which are quite strictly regulated. Of course we are used to having various kinds of foie gras as part of a canapé platter but I’ve never tried cooking with it – until now. We made Nem au Foie Gras d’Oie et Pain d’Epices. Nem turned out to be a kind of spring roll, made with Brick pastry (very like Filo) and then fried in goose fat. The recipe below, was delicious and rather surprised me because the idea of cooking foie gras other than in a terrine wasn’t something I’d thought of. But then, we were in the heart of the Perigord Noir. Take a leaf of brick or filo and lay it flat. Fill it with a 'sausage' shape of about a sixth of the gingerbread, foie gras and rocket. Season with salt and pepper. Serve hot with the honey and vinegar dipping sauce on the side. You can cut the nems into slices for canapes or serve a whole nem as a starter. Now, I’ve tried to be objective and write about what I saw. I am left with a contradictory and confused set of messages in my head. I can’t say the treatment of the geese we saw was unforgivably cruel, rather a traditional method that was managed with compassion. But I am sure we saw the best. I’m aware of a whole range of other farming techniques that seem just as bad to me. But, I’m also aware that my mother would be turning in her grave saying ‘two wrongs don’t make a right’. I will probably continue to eat foie gras on special occasions. And I’ll continue to try to avoid an excess of foods produced using poor farming techniques. My general rule of thumb is that food produced with kindness tends to taste better. And since I am the most unlikely person to become a vegetarian, Foie Gras will remain on my guilty list.